Claudio Gonzalez, who led all trainers in Maryland last year with 84 victories while securing training titles during Laurel's summer and fall meets, claimed Afleet Willy on a cloudy day out of a victory over a sealed, muddy track two days after Christmas in 2015. The son of Wilburn has turned out to be a gift that keeps giving and giving and giving…. Since claiming Afleet Willy for BB Horses, Gonzalez has watched the 5-year-old win 10 of 20 races and earn more than $325,000. Having won four of his last six races – and three stakes in the Native Dancer and Dave's Friend at Laurel and the Governors Day Handicap at Delaware – Afleet Willy will start in Saturday's $100,000 John B. Campbell. The Campbell is one of six stakes on Saturday's Winter Carnival Day at Laurel Park highlighted by the $300,000 Barbara Fritchie (G2) and $250,000 General George (G3). 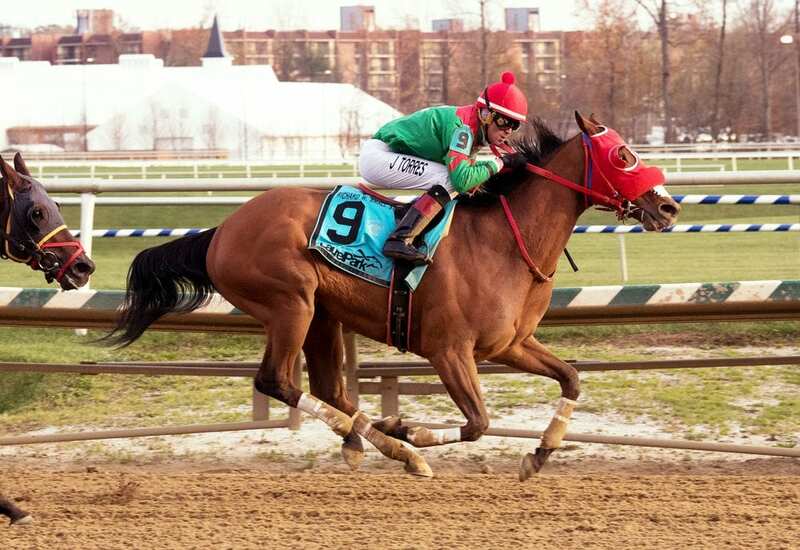 This entry was posted in NL List, Racing, Videos and tagged afleet willy, Claudio Gonzalez, dave's friend, governors day handicap, john b. campbell stakes, laurel, laurel park, Maryland, Native Dancer, wilburn by Press Release. Bookmark the permalink.